Systems furniture, also known as modular workstations are widely used in many businesses today. Generally, custom panels in assorted heights, widths and finishes surround worksurfaces, storage and accessories that our client has selected. National Office is the manufacturer of gen2 office furniture and we produce 3 lines of systems furniture. 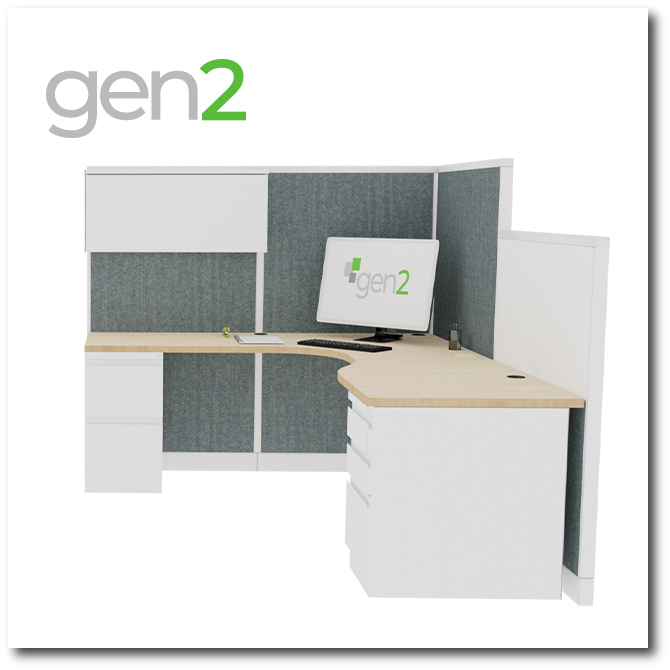 gen2 Work – Our most popular line of modular furnishings featuring our segmented panel system. gen2 Avenir – gen² Avenir mimics the classic Steelcase Avenir line but has been enhanced with more options. Our gen² Avenir line has the same steel construction as the original and we are able to match existing finishes. gen2 9000 – Steelcase discontinued this line leaving many customers with furniture that can no longer be matched. Our gen² 9000 line is still in production allowing us to provide our customers with matching products and finishes. 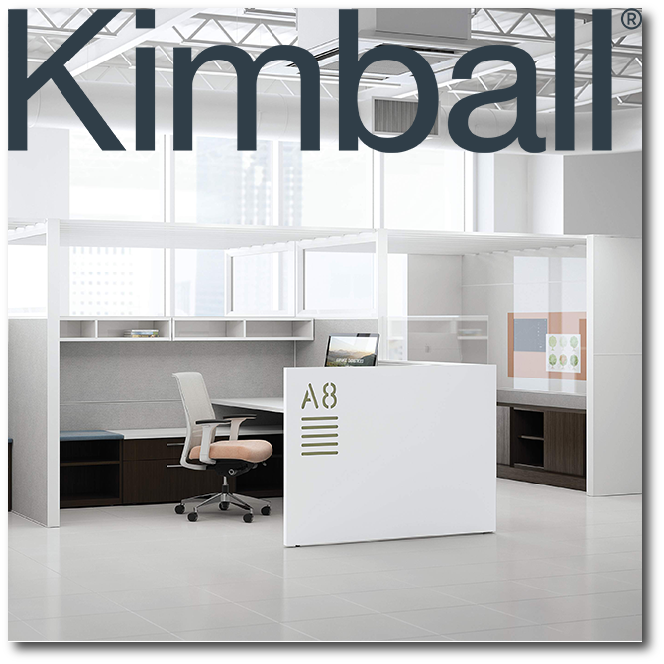 To make sure that our customers have their every need addressed, we also partner with Kimball to provide additional systems furniture options. Click on the links below to find out more about our gen² lines of systems furniture. Click here to see typical systems furniture configurations. Proud to use these vendor’s quality products in the manufacturing of our gen2 Office Furniture.